JRA hosted our first Warehouse Luncheon & Engineering Seminar of the season on Wednesday, March 7th. 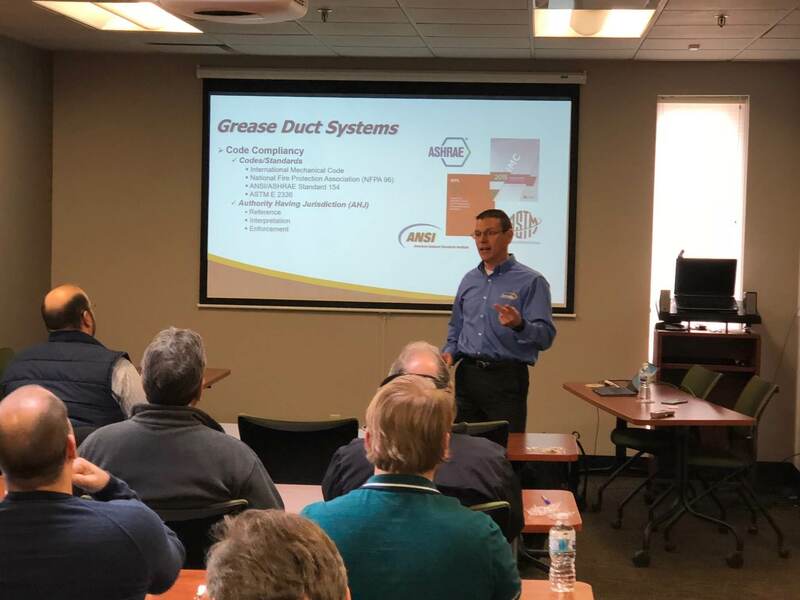 Schebler National Sales Manager, Mike Mommsen, presented on Grease Duct Systems and the Design for Code Compliance and Fire Safety / Protection. Schebler provides a complete system design meeting NFPA & IMC or UMC codes with UL 2221 Classified products. Anthony Behrendt & Bob Knust, Sales Engineers & Account Managers, displayed the Accurex XRRS Residential Range Hood and also had examples of CAD drawing setups for they offer to engineers. Accurex provides a total kitchen solution with its complete kitchen packages which includes hoods, controls & energy management, exhaust fans and make up air units. JRA had a successful turnout and we appreciate all of our customer support. Thank you to Haywards BBQ for catering our event.